In a wicked twist on the old trading places trope, a princess's devious maid takes her clothes and poses as the princess. The disgraced royal is then forced to herd geese for a living, but her mother's charm gives her the opportunity to reclaim her birthright. It is left to the princess to convince the king of her true identity and to get revenge against her former maid. Sponsors! BetterHelp - Go to BetterHelp.com/Tales to get 10% off your first month with discount code TALES. In one of the Grimm Brothers’ darkest tales, a young boy named Jakob faces off against an evil stepmother. But even the help of a magical tree may not be enough to defeat a cold-hearted murderer… Sponsors! BetterHelp - Go to BetterHelp.com/Tales to get 10% off your first month with discount code TALES. Robinhood - Robinhood is giving listeners of Tales a FREE stock like Apple, Ford, or Sprint to help you build your portfolio. Sign up at Tales.Robinhood.com. This story follows a young Snow White and her sister as their mother forces them to spend time together. As they go about their chores, their encounters with an ungrateful dwarf lead them to form a bond capable of surviving any ordeal. Of course no Brother's Grimm tale would be complete without at least one character meeting a grisly end. Sponsors! Shudder - Head over to DiscoveryOfWitchesTV.com and use promo code TALES for a free 30-day trial of either Shudder or Sundance Now. SugarBearHair - Go to SugarBearHair.com/TALES for amazing hair and a healthier you. After secretly marrying a commoner, Prince Francesco uses a magical glass tunnel to spend nights with his true love. But a pair of jealous sisters endangers the couple's rendezvous, and the secret wife, Nella, must save the day, or lose the love of her life. Sponsors! 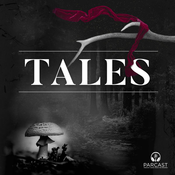 BetterHelp - Tales listeners get 10% off your first month with discount code TALES when you go to BetterHelp.com/Tales. Robinhood - Get a FREE stock like Apple, Ford, or Sprint to help you build your portfolio. Sign up at Tales.Robinhood.com. SugarBearHair - Go to SugarBearHair.com/TALES for amazing hair and a healthier you. A story that has been told for generations all over the world. The modern retelling is well known however, the French, Thai and Norwegian versions vary significantly. In some versions the antagonist tricks the young girl into cannibalizing her grandmother. One thing remains constant: sweet innocent grandma does not make it out alive.&nbsp; Sponsors! BetterHelp - Tales listeners get 10% off your first month with discount code TALES when you go to BetterHelp.com/Tales. Shudder - Head over to DiscoveryOfWitchesTV.com and use promo code TALES15 for a free 30-day trial of either Shudder or Sundance Now. SugarBearHair -&nbsp; Go to SugarBearHair.com/TALES for amazing hair and a healthier you.